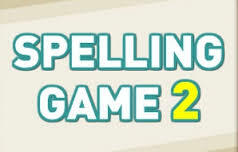 Improve your spelling skills in this sequel to the popular English spelling game! Will you make it into the Top 20 scores on our leaderboards? Use mouse or keyboard to play! The first step, remember the word on the screen. The second step, wait until the end of the time limit or tap on the screen to start spelling! Finally, simply repeat the word! 18 words will be shown. You can only make 3 mistakes! Your score is dependent on your speed! Play all the different modes for some fun variety! Good luck, and have fun playing Spelling Game 2!